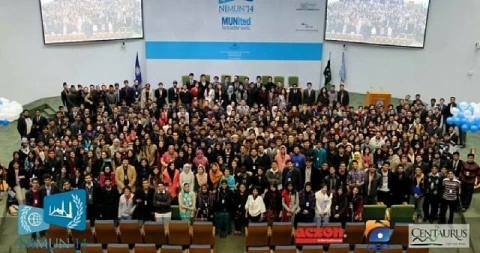 A delegation comprising of nine students, 7 from different disciplines of Baccalaureate and 2 from Intermediate, went to attend this year’s biggest MUN event of the season – NIMUN ’14, which was held from 22 to 25 January 2014. 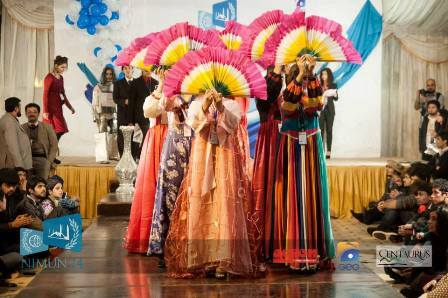 The event which spanned over 4 days and 4 nights comprised of 5 hectic and competitive committee sessions and some amazing social events like the ‘Global Village and Ramp Walk’ where different schools showcased their assigned countries culture and then walked the ramp, The ‘Lok Jo Mela’ which was a carnival of sorts with cultural performances and stalls of food , clothes and games for the delegates to amuse themselves with two joy rides, a huge merry go round and a huge pirate ship and ‘Circque de Solei’. This event comprised of some fun activities for the delegates to amusement such as the tambola and a brilliant mime act which was enjoyed by all. 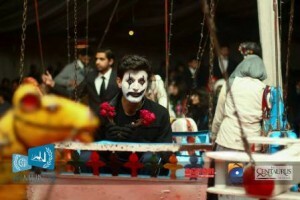 This was followed by a delicious formal dinner and finally the Sufi Night. After this the closing ceremony was held where the delegates relaxed and enjoyed with their team and other friends. A total of 600 delegates from Jordan, Nepal, Germany, Sweden and all the corners of Pakistan participated in 11 committees. Each committee which comprised of around 45 plus people had only 1 Best Delegate Award which made the award itself all the more prestigious to attain. Other awards comprised of Outstanding Diplomacy and Honorary Mentions which were given on the Committee Directors Digression. Muhammad Omer Imran, the President of FORMUN Society 2014 had the honor to direct the Committee of DISEC as a Committee Director. Other participants from the team of FORMUN included Ex President of FORMUN Society Syeda Rija Irfan Bokhari participating in WHO, Ex Vice President of FORMUN Ahsan Ali participating in SOCHUM , Vice President FORMUN 2014 Hafeez ur Rehman Hadi participating in NCC, JahanZaib Awan participating in CTC , Abdul Naffay Bhatti in UNHRC, Rana Muhammad Ehsaan Khan in International Crisis Cell adhoc committee, Qasim Khankhail in UNDP and Faraz Fareed in UNEP. The team of FORMUN was assigned the country ‘Sweden.’ After four days of hectic research, debating, diplomacy and an aggressive performance in the crisis session for some the delegates fought hard to be the best in the committee and the end result proved it. 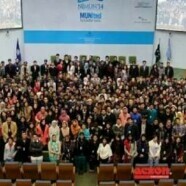 Team FC bagged a total five awards at NIMUN. 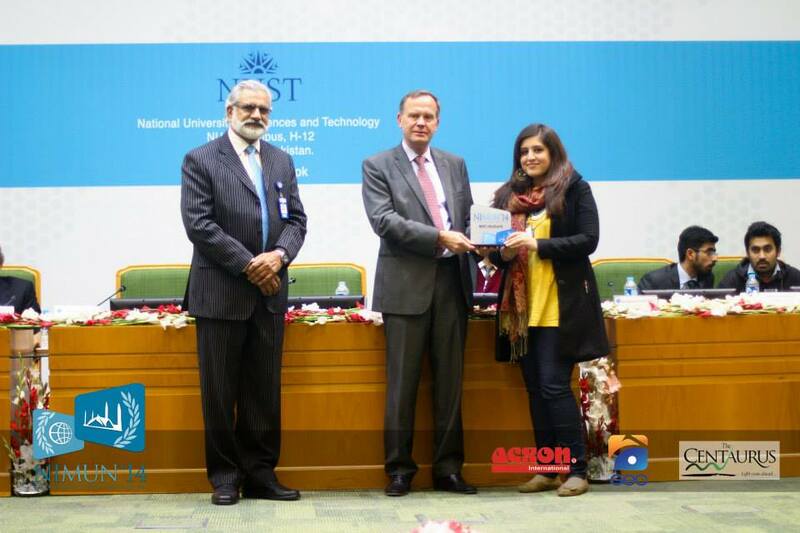 Ahsan Ali and Syed Rija Irfan Bokhari proved their worth by winning the Best Delegate Award which was the highest award anyone could get in the competition. 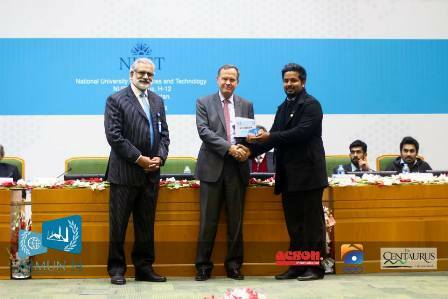 Hafeez ur Rehman Hadi and Shayan Shaukat won the award for Outstanding Diplomacy in their committee. 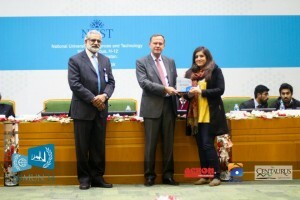 Qasim Khankhail received an Honorary Mention for his performance in his committee. The team says they had a wonderful experience at the event, made everlasting friendships, got to experience an amazing MUN and they couldn’t have been happier to end their holidays with such an event.